Welcome to the KISUMU Site which is dedicated to the people who were or are residing in Kisumu (Kenya). 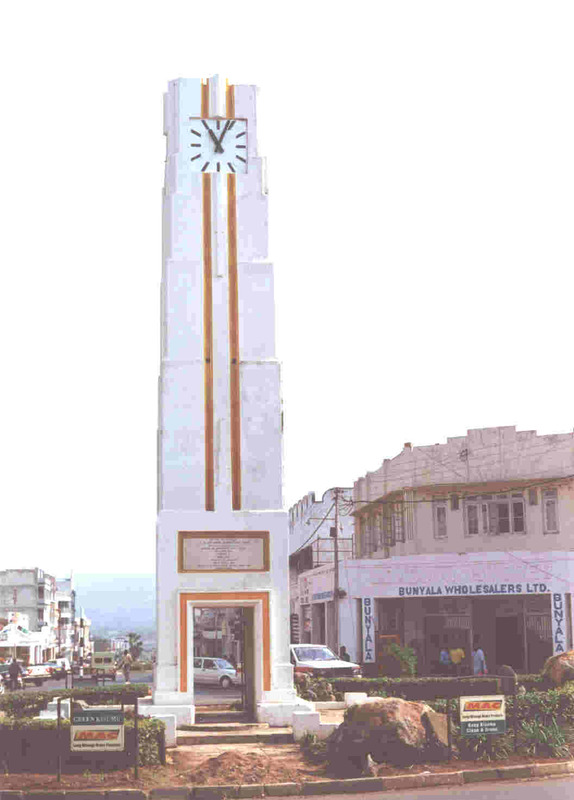 Kisumu is a town on the shores of Lake Victoria in Kenya â€“East Africa. Most of us remember Kisumu with great fondness due to various reasons. The site has e-mails of residents and ex-residents who are now spread all over the world. With the help of the Internet we hope to re-establish the old contacts via the e-mail. Apart from that, this site has history of the town, news, pictures and links to other related sites. If you have had any links with Kisumu or the surrounding villages, you are invited to e-mail your name and other details, such as the year you were at school in Kisumu. Any old or new pictures from Kisumu will be greatly appreciated and will be posted on this site if relevant. Any suggestions regarding improving the site are also welcome. We hope that you will find this site helpful in restoring the old friendship and making new friends from the old Town! In the past we have had meetings of ex-residents of Kisumu being held in London. Needless to say that most of the time the hall where these meetings have been held turned out to be too small due to the sheer number of people attending. We hope to keep you posted of any further meetings. Last Kisumuwala reunion was on Sunday 31st August 2014 from 1.00pm to 6.00pm in North West London UK at RCT,Headstone Lane,Harrow,Middlesex HA2 6NG. It was a fully packed event with more people than before attending. The event started with our nomal barbecue with succulant mogo (cassava) spiced with salt and chilli pepper, roasted maize and roasted sweet potatoes. This was followed by ‘Meet and Greet’. As usual the place was full of smiling people , some meeting each other for the first time after leaving Kisumu nearly 40 years ago! The vegetarian meal was next with a long que for one of most succulant meals ever! The event was sponsored by Hari Om Travels who have now promised to sponsor all future Kisumuwala Reunions! Many Thanks to all staff anf of course Harish Gohil! Was held on September 10th 2011 at Indian Gymkhana in Osterley UK. from Australia, Manoj Raithatha form Canada to name a few. The KBHS Class of 66 and Kisumuwalla-reunion took place in Los Angeles, California on 19 August 2006.Memories just poured out until time ran out. The Class of â€™66 Re-union ( Kisumu Boys High School ) was held in August 2004 in SurreyUK and was a tremendous success with classmates arriving from USA (Los Angeles) Norway, Sweden and Kenya. This reunion was graced by non other than Masterji Aridaman ( Maths Teacher) who must be credited with other teachers for success of the Class of â€™66. Pictures of this reunion will be posted on this site. Contributions from all of you concerning Kisumu will be most welcome. This includes any old photographs, relevant articles etc. that you may wish to contribute (email). E1 €  (  €  (  €  (  €  (hC@Z-  †�:Ð%ûÕ,´2�Å €€  (  €  Z (    €ð ü( Áô . b�ÅUÁ BŒô€íŒRÊàXäš #8 ü¤Ðä@ 9é@[œPº€ÜÐ Xâ€pÅ ô4 ¤š J :ô4 z ?